Have you used our Workroom Form? Watch our tutorial video below to step you through how to get started using our new and improved Workroom Form! Scroll down to keep reading to learn about the benefits of using our form. We hope you'll love it as much as we do! 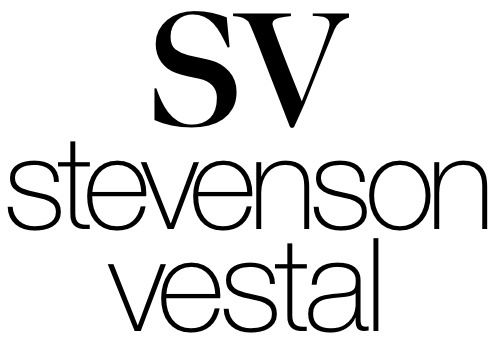 At Stevenson Vestal, we strive for clear and efficient communication and confidence through the materials we provide to you as our valued customer. The unique structure and layout of our Workroom Form is designed to guide you to tell us just what we need... and not what we don't! For a quick background, we receive orders a whole LOT of different ways. Some customers have their own forms, others have used multiple forms designed by third parties. Some just write it down on a piece of notebook paper and some write a short story for us to read with the "secret measurements" tucked away in the story line somewhere. You know who you are! Seriously though, we're sure you're a great writer, but we feel pretty certain a critique of your short story is not what you want from us! What we're striving for is clarity, and clarity is found in simplicity. Something that requires, and promotes, less translation. Think about this: you have to communicate to your customer your vision of the custom soft goods that are best for them. Once you've made some decisions about that, you have to communicate to your SV Customer Service Rep exactly what you have in mind. Then, our Order Processing Department enters the product into our data system, so we can track it and manage your order through our workroom. And of course, Order Processing must be certain to communicate to the artisans here specifically what it is you want made. Simply put, there's a whole lot of communicatin' going on here! And as anyone who has been in the industry for very long knows, there are a LOT of different ways folks in our industry communicate. Just ask 5 people in our industry to describe a festoon... or a swag... or a swag & jabot... or a swag & cascade, or perhaps a drapery, or a curtain... that is either a hem-top, or a rod-pocket drapery, or shirred... or is it a pinch pleated, or a French pleated drapery? - and see what words they use! The point being, if we can use, TOGETHER, a well-designed tool that is intuitive and efficient, it will facilitate communication between ALL of us who are doing all the communicatin'. The Workroom Form is made to work with all 7 product families-one size fits all! This way, you do not need unique forms for all of the different products that we have, but you will need to use separate completed forms for separate product orders. With our signature Workroom Form, it's all right there. The design functions as a "blueprint" for a single product (or multiples of a duplicate product). The unique layout encourages you to think visually. The form works extremely well within our coordinated system. The specifications required and product details go hand-in-hand with our price catalog and other various communication tools. We're striving to build tools for you to provide the simplest, clearest, most accurate, and most intuitive way to communicate the product you want created. And we can't wait to bring your dream design to life! Again, you can visit the Workroom Form page on our website to get started.